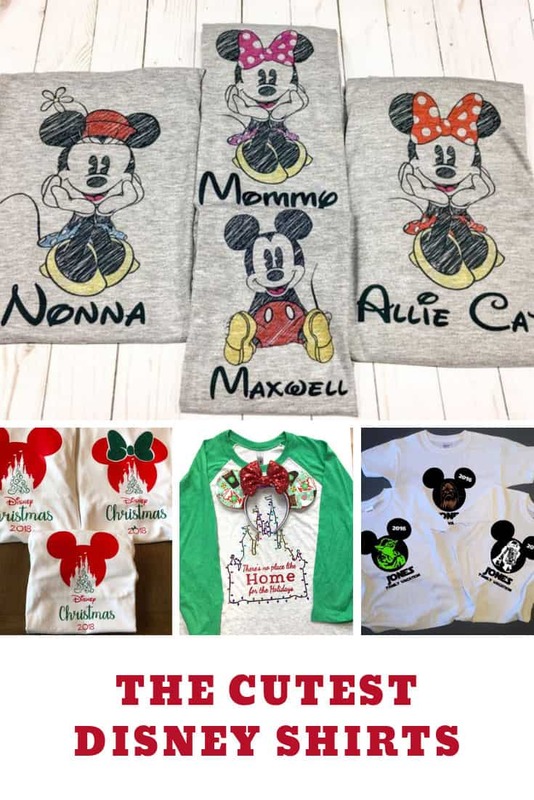 These Disney shirt ideas are totally magical and are a must-wear for family vacations and Disney cruises… oh and for Instagram too! As I’m counting down the days to our next family vacation and thinking about what I need to pack for Disney World it’s time to start looking for Disney shirt ideas! My hubby and I wore matching shirts the year we got married at Disney World and we got so many good wishes from the characters, cast members and even fellow guests! I love seeing other families wearing Disney shirts together, and it makes large groups celebrating family reunions easy to spot too! There is also that added benefit if you get split up from your party to not have to remember what anyone is wearing that day but to just look for a shirt that looks just like yours in the crowd! Of course there are so many great shirt designs out there that it’s impossible for me to buy or make them all, so I’m pulling together collections of my favourites so you can see them too. So grab a drink, have a browse, and get excited about your next trip! We’re not actually going to be at Disney World over Christmas but we will be there for the Holiday celebrations so I’ve been looking for cute tees to wear. I LOVE this design with Cinderella Castle and the fairy lights. 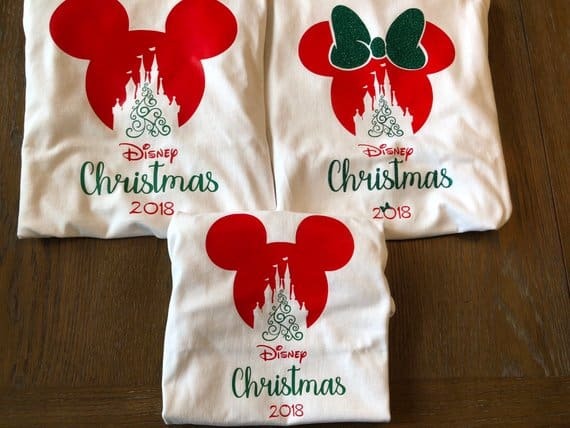 It’s part of a larger collection of Disney Christmas shirt ideas that you won’t want to miss! Even though we have twins Disney World is the only place where as a family we wear anything that matches! I love matching shirts like these for our vacation. And this design is so festive! 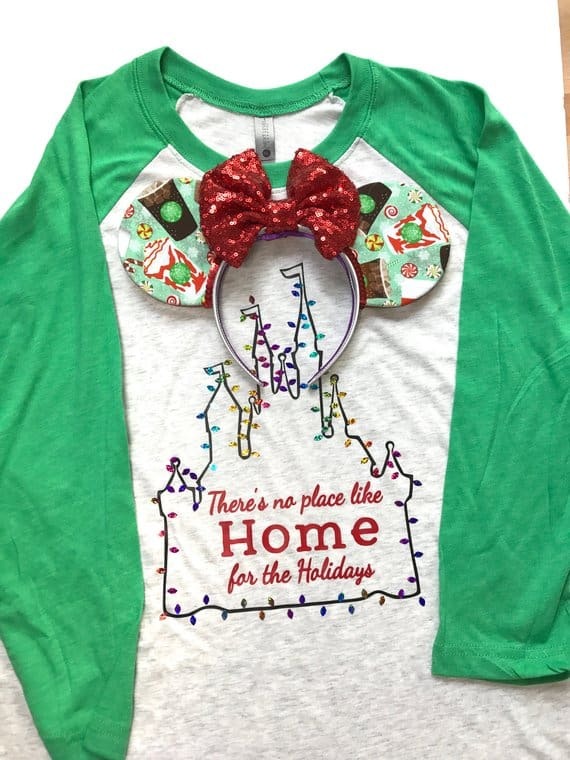 It’s part of a collection of Disney Christmas family shirts which are perfect for matching whether it’s just your immediate family or a larger family reunion trip! If you’re not travelling during the Holiday season you can still find cute matching family shirts, like this one! I love the sketch design of the characters and that you can personalize with your names! 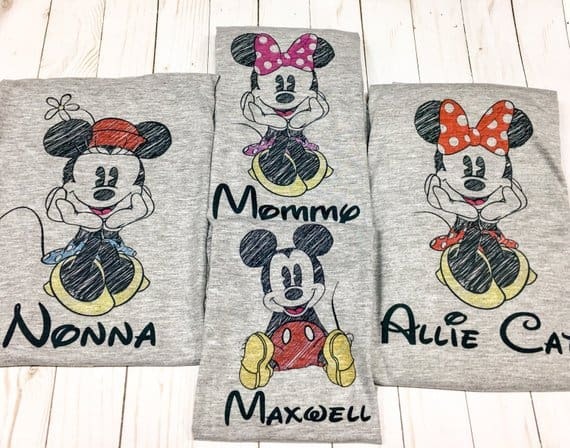 It’s just one of many matching family Disney shirt ideas I rounded up! Hands up if you’re super excited about the new Star Wars Land opening next year at Hollywood Studios? You’ll definitely want to wear shirts like this one when you visit! 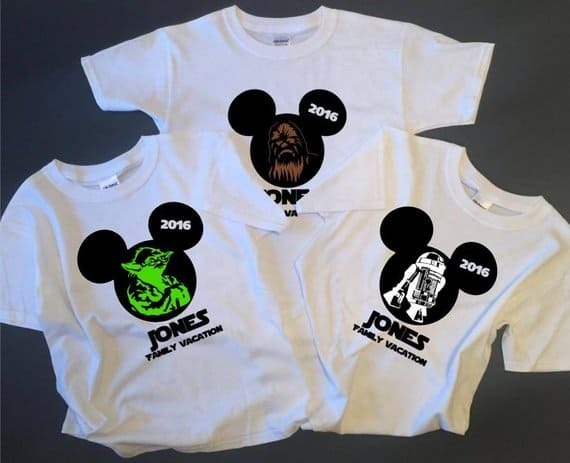 We have more Disney Star Wars family shirts if you need ’em!